일반인 위험 인식의 주요인으로 알려진 감정 촉발 요인이 개인의 체계적 정보 처리 성향과 상호작용을 통해 위험 인식과 어떤 관련성을 보이는지 살펴보았다. 이 과정에서 체계적 정보 처리 성향이 위험 인식과 직접적으로 관련이 되는지도 알아보았다. 전국 단위 면대면 설문 조사(N ＝ 1,000)를 통해 네 가지 식품 관련 위해 요소와 화장품 부작용에 대한 위험 인식과 응답자들의 정보 처리 성향 등을 조사하였다. 이들 위해 요소가 갖고 있는 감정 촉발 요인으로는 낯섦, 신뢰 상실, 어린이에 미치는 영향, 참사 가능성, 공포의 다섯 가지가 조사되었다. 설문 분석결과 , 학교 식당 노로 바이러스, 믹스커피 봉지의 오용, 화장품 부작용의 세 경우에서 체계적 정보 처리 성향이 강할수록 위험 인식이 높아지는 것으로 나타났다. 라면 스프 내 발암 물질도 같은 양상이 거의 유의수준에 가까운 정도로 목격되었다. 체계적 정보 처리 성향은 감정 촉발 요인과 상호작용의 사례도 발견되었다. 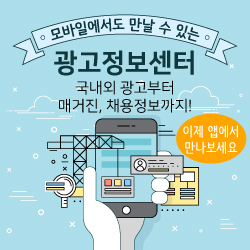 전체 25가지 상호작용 가능 사례 중 11가지 경우에서 이 두 변인의 상호작용이 위험 인식과 유의미한 연관성을 갖는 것으로 나타났다. 상호작용의 방향은 공포를 유발하는 감정 촉발 요인의 경우엔 위험 인식을 낮추는 쪽으로, 분노를 유발하는 감정 촉발 요인의 경우엔 반대로 위험 인식을 높이는 쪽으로 관련성을 보인 것으로 나타났다. 체계적 정보 처리 성향의 주효과와 조절 효과의 다중적 방향성이 갖는 함의에 대해 논의하였다. We investigated how outrage factor, known as a kind of influences on risk perception, interacts with information processing types in guiding risk perception. Whether systematic processing has a main effect on risk perception was also examined. A nationwide person-to-person survey (N=1,000) was conducted to collect information regarding ordinary people’s information processing types and their risk perception on four types of food risk and side effect of cosmetics. Familiarity, trust, effect on children, catastrophic potential, and dread are examined as the outrage factors. As a result, the greater systematic processing, the higher risk perception in the case of Norovirus in school cafeteria, misuse of plastic coffee bags, and side effect of cosmetics. The association between heuristic processing and risk perception almost reached a significant level in the case of Benzopyrene in noodle soup. In guiding risk perception, systematic processing showed an interaction with outrage factor, as well. A total of 11 interactions out of 25 cases was significantly associated with risk perception. A more intensive systematic processing reduced outrage effect on risk perception in the case of dread-eliciting outrage factors, while it increased outrage effect when it comes to anger-eliciting outrage factors. The implication of the main effect of systematic processing and its two-way interaction with outrage factor in guiding risk perception was discussed.